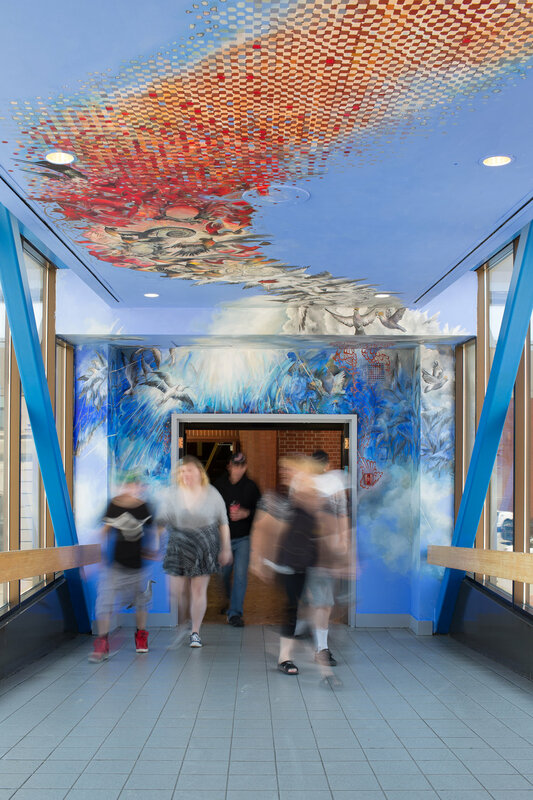 “To celebrate Canada 150, and the tradition of grounding creativity in the public realm, is a new masterpiece by Saint John artist Deanna Musgrave. 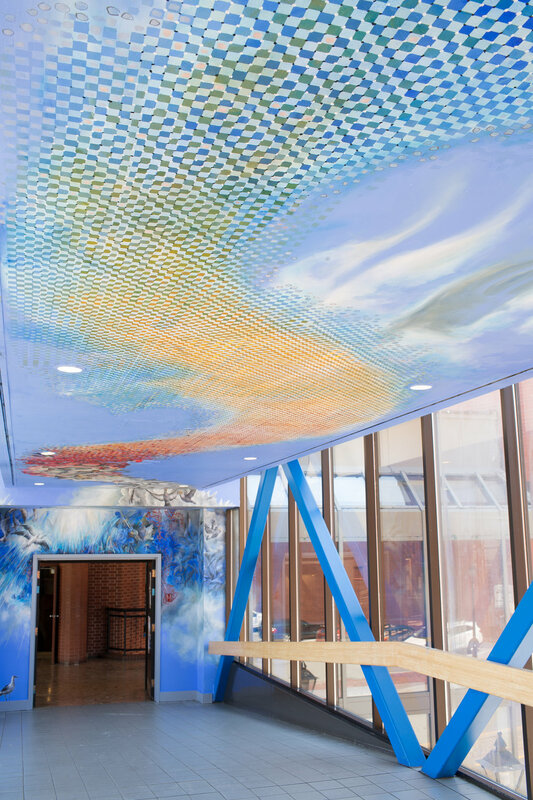 Well known for her mural, Cloud (2015), commissioned for the University of New Brunswick in Saint John, Musgrave has created another masterful mural in one of the city’s most public and challenging environments. 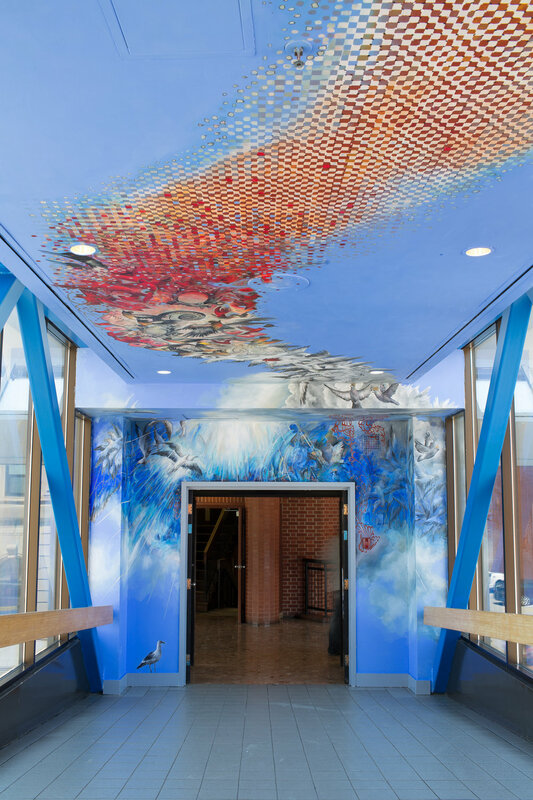 Her new mural, “Nest”, can be found in the pedway that connects City Hall with Market Square. It transforms the heavily travelled site into an enveloping and ethereal canvas.